Snow Cone Machine Hire | JOLLY JACKS JUMPING CASTLES! 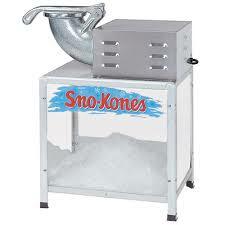 Snow cone machine hire is a great way to entertain your guests, all our machines a high quality commercial grade machines which are easy to use just add your ice into the machine, put the shavings into a snow cone and add your chosen syrup its that simple. Snow cone machines are great for fundraisers with low running costs and high profits making it ideal for your next event ensuring maximum profits well providing fun and great tasting treats for everyone around.